I keep saying that I am working on some other projects around the house, and I am, but I have come to realize it takes me much longer to have them ready to share than I thought it would. So, I thought I would give you some hints of what I have in process, so at least there is some proof that I’m working on it…slowly. 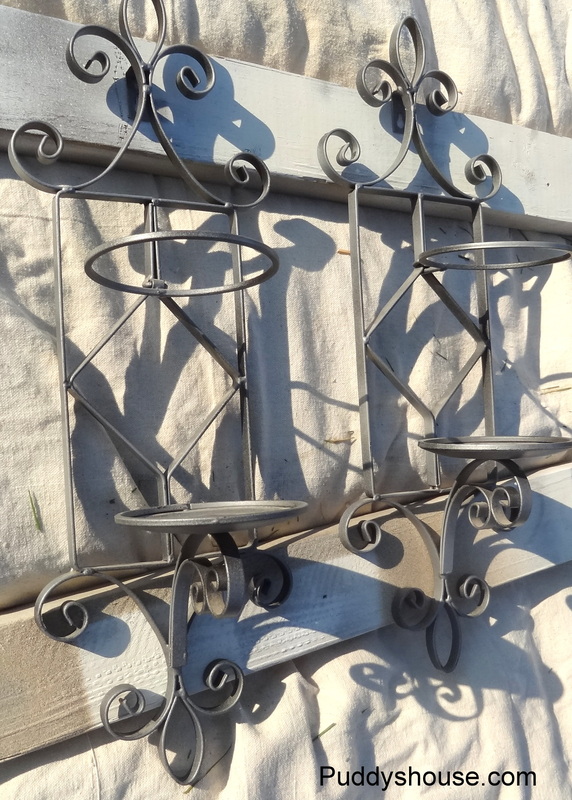 I bought these sconces for $2.99 each during one of my summer trips to Salvation Army. This is when they were prepped in my spraypainting station, aka my backyard with a drop cloth and some boards. They are now a new color and hung in the basement, I just need to find the perfect candles so I can take pictures and share. 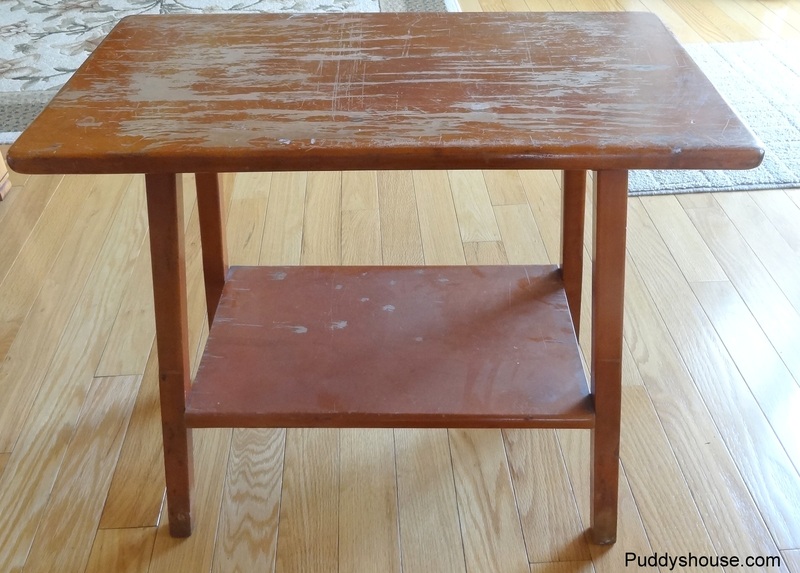 My second project in process is a $5 table that I bought during our neighborhood yardsale. It needs a little makeover. It has been stripped, sanded and stained. I just have to give it another coat of stain and some poly…oh, and decide where it is going to go in the house! My last project has been completely FREE! 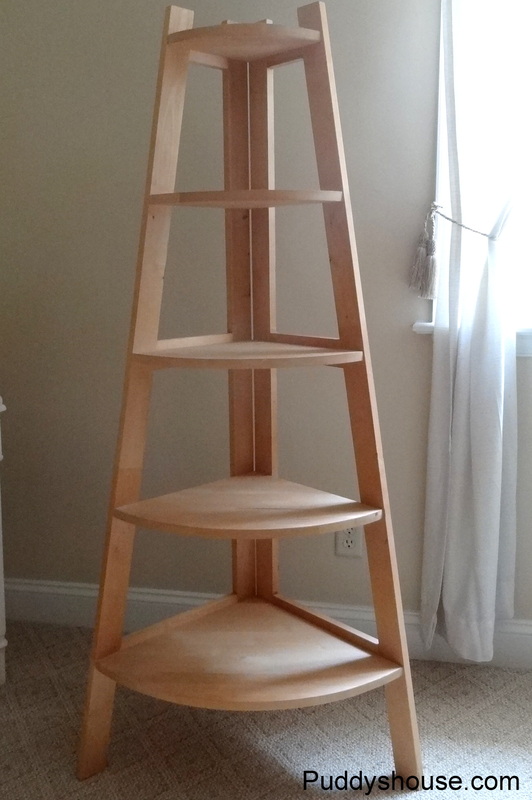 I found this solid wood unfinished corner stand when I was shopping a neighborhood yardsale…the person had packed up everything else, but left this corner stand and some baby items at the end of the driveway for free. I walked back to my car as fast as I could and pulled up in front and loaded it up. I also got a high chair and exersaucer for free for my sister. I used chalk paint for this piece. I won a quart of Annie Sloan chalk paint in Old White at the Haven Conference and decided to use it to give this corner stand a new life. It worked well and as soon as I get the shelves decorated, I will take some more pictures and share. Until then, I should step away from the computer and spend some time on my projects. Does anyone else underestimate the time it takes to complete a project? Any other yardsale freebies or good deals?